Salto Ventoso is a waterfall with 55 m of fall falling on a horseshoe-shaped cave, It is located in Rio Grande do Sul , in the municipality of Farroupilha , in the Muller Line, District of New Sardinia, twelve kilometers from the city. Its main feature is the possibility offered to the visitor to visualize the fall behind the water. There is a passageway in its outline, which as such is a half-closed, half-open tunnel, which allows people a full walk through the waterfall. When the sun hits the hole in the hole of the water, and reflect various colors on the walls of the cave. The Windy Salto , which was already a well-known water fall, was especially famous after the recording of some scenes from the film "The Quatrilho" and the mini series "The Fifth of Hell". The Salto Ventoso Park is located on the Müller Line, with access by road VRS 313 (813), from this the road is for 7km of ground road. 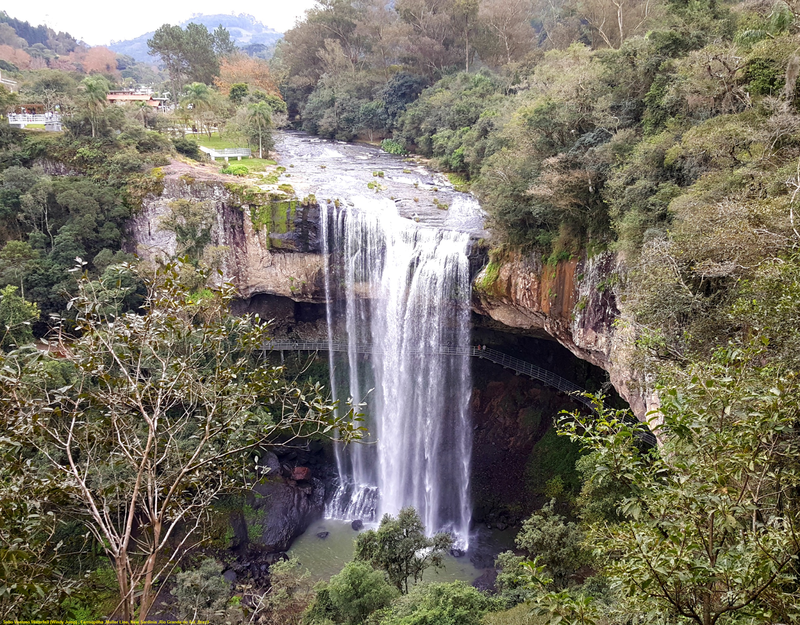 The waterfall itself is very beautiful and imposing, but the most interesting and attracting many people to the place is the possibility of making a trail that skirts behind the fall. It is worth knowing the waterfall and making the typical photos behind the water curtain. The place is open to the public and there is no visitation fee.